Formed in 2016, Friends of Levitt Pavilion San Jose is a non-profit organization comprised of community stakeholders committed to the revitalization of Saint James Park as a safe and inclusive destination for people of all ages and background. 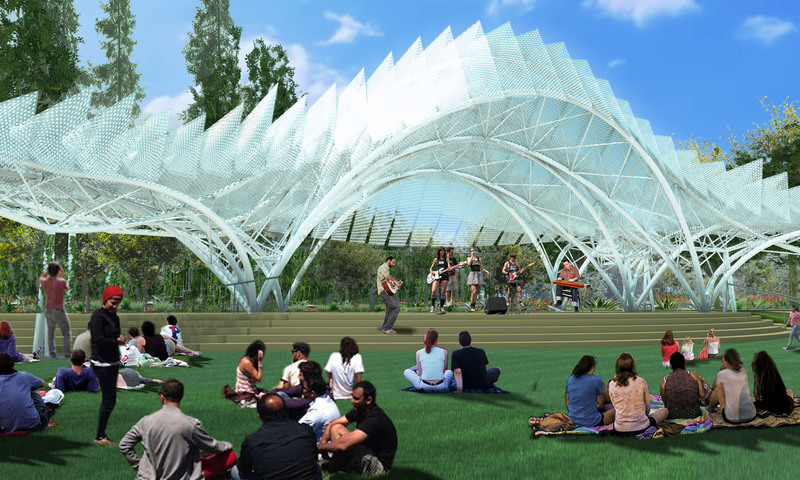 The new outdoor Pavilion will feature 50+ free concerts throughout the year along with other performances. It all began with Mortimer Levitt – a son of struggling immigrant parents who became a successful retail entrepreneur. In the 1960’s, Levitt created a family foundation focused on youth and performing arts and built his first pavilion in Westport Connecticut. This project evolved into an innovative philanthropy program to help communities establish their own Levitt music venues. There are six Levitt pavilions today, from Arlington Texas, to Bethlehem Pennsylvania. All have played a transformational role in reinvigorating their host parks into a healthy “third space” serving the broader community.